Our Church school is an inclusive community of children and adults led by parishioners, both parents and non-parents. We envision Sunday school as a place where love abounds, where children and youth gain a deeper understanding of God as they learn, practice and live their place in our community and in the world - a place where an abiding faith is evident, where the stories and concepts of the Bible are told, where the history and traditions of the Episcopal Church are taught, where care for creation is alive, and where the words of Jesus are heard and celebrated. We value an organic curriculum that includes song, stories, discussion, art, reflection, exploration, food and fun. We believe that this involvement will bring children to a deeper understanding of God within, revealed through the grace of day-to-day experience, that allows them to act on their faith to make real God’s vision of a world of peace and justice. Church School for children from preschool through middle school is offered on Sunday mornings throughout the program year following the Eucharist. All classes meet on the lower level, in individual classrooms, each staffed by experienced and loving teachers. For more information, please contact Anne Clark via the Cathedral office. SPY is a group of youth, 6th - 12th grades, exploring their faith through social events, social justice work, fundraising events, and an annual Mission Trip. This youth ministry program provides opportunities for young people to come together in a Christian environment in fellowship with other youth, to grow in spiritual formation, explore their questions, and develop leadership within the church. The energy and creativity of the youth is an important part of our St. Paul’s community. We wish to support those who support and love the young people around them. We believe in the sacred witness of the transforming power of this love, and the hope which surrounds all of our children and youth. 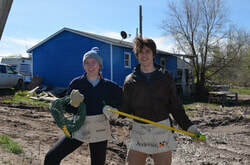 Youth Group leader Marti Churchill says, "Some of our most spiritual moments, where we're really connected to the divine, happen when we're in service to others and service of a more peaceful world. Now, of course, that means different things to different people - so it is my job to ensure that there are a variety of opportunities available to the youth." - Raise awareness of local, national and global needs. - Change focus to "others" instead of "ourselves." - Create closeness and unity as we work side-by-side. - Deepen spiritual commitment and church involvement. - Help every person realize that we can make a difference! - Share God's love in a tangible way. ​SPY meets several times each month (usually on Sunday evenings) and also participates in an annual mission trip. Past trips have taken SPY to South Dakota; Costa Rica; Kentucky; Washington, DC; El Salvador; and New York City. During April break 2019, 9-10 youth and 4 chaperones will travel to Guatemala for a week. They will work with Bob Brenneman, professor at St. Michael’s College and parishioner at St. Paul’s, and CASAS (Central American Study and Service) to explore and study poverty, gangs, and violence in Central America and how this leads to the immigration flow to the US. Given the current administration of the US and immigration policies affecting those who try to enter the US, this is a timely and important experience for our youth. For more information about SPY, please contact high school leader Marti Churchill. 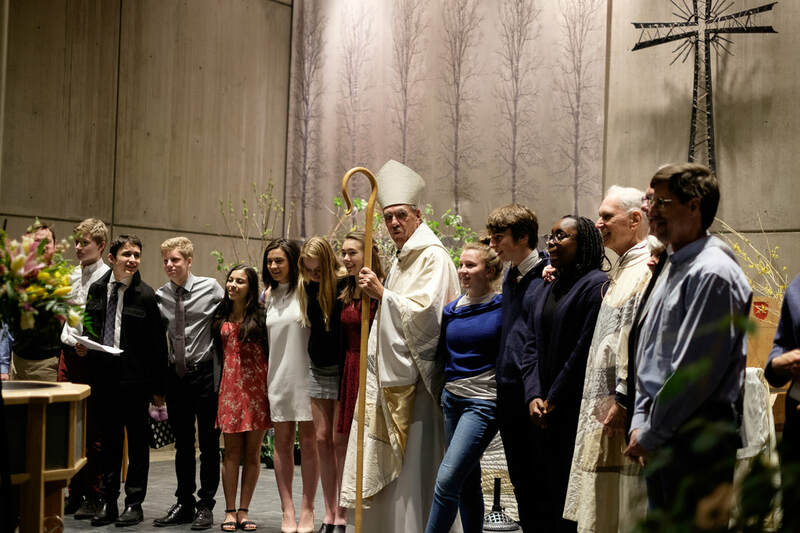 Youth Confirmation class is offered every two years (odd numbered years) beginning in Advent and culminating with confirmation at the Easter Vigil. The group is open to high school students and uses an adaptation of the Confirm not Conform curriculum. ​For more information, please contact the Rev. Deacon Stan Baker.